Ometepe Nicaragua - Where to stay and what to do! 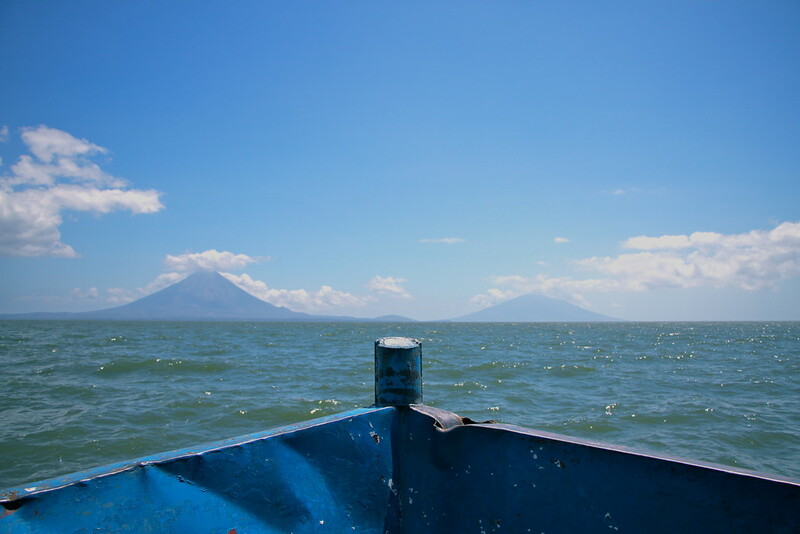 Ometepe Nicaragua: Twin Volcano Island! Perched on a wooden bench, our backpacks deposited in a heap in front of us, we were excited. We’d caught a glimpse of the majestic twin volcanic island of Ometepe Nicaragua as we made our way to San Juan del Sur, and after a relaxing few days by the beach, we were finally on our way to the island! We clambered onto our boat for the short one hour crossing. The boat was small and basic, and we perched ourselves on one of the wooden benches that had been nailed to the floor. A young boy approached us selling various local nuts and fruits, a few other people got on board and we were on our way. Standing at the front of the boat as it gently rolled over the waves towards the island, the majesty of the volcanoes became all the more apparent. Two towering twins dominate the lake, the perfectly formed volcano cone of Concepcion and its sister Maderas, both cutting against the clear blue sky as we approached the island. We’d chosen to spend some time on an organic farm, and planned to help out in any way we could. Arriving at the main port, we grabbed some supplies from the local shops. There were a few restaurants and bars, but we hadn’t come here to socialise, we’d come get away from it all on a farm. Jumping into our pre arranged jeep, we headed to our home on the other side of the island an hour and a half away. The journey there was…uncomfortable. Imagine driving along a dried out river bed and you won’t be far off the ‘road’ we encountered on our way to the farm. Ninety bumpy minutes later and we pulled up to our home for the next few days. 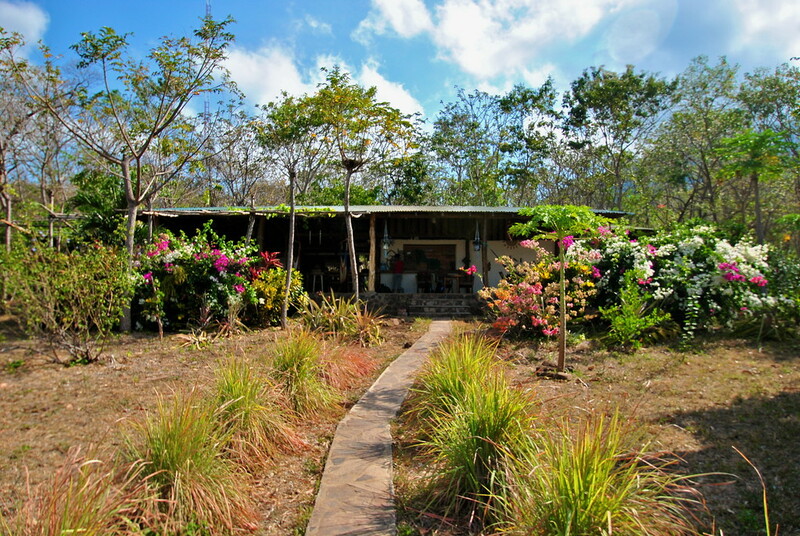 We’d chosen to stay at Finca Mystica, a small organic farm set back from the beach in acres of lush green land. Here they grow much of their own food, and are continuing to plant more to become self sufficient. Arriving here we instantly knew we had made the right decision. Our home for the next few days could be found down at the bottom of the garden, a path guiding us between the various fruits, nuts and other assorted crops that grow around the farm. 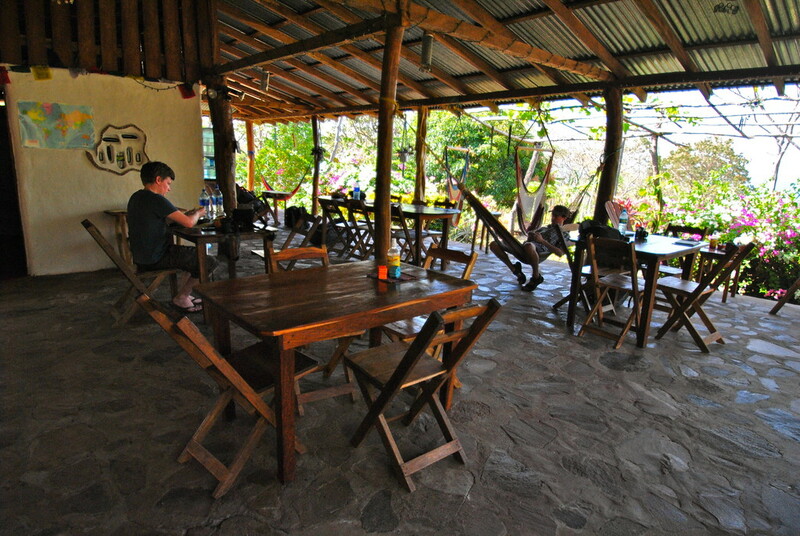 There are, of course, numerous things to do on Ometepe island, especially in close proximity to the farm. We chose to trek to the nearby waterfall on Ometepe, almost sweating to exhaustion in the stifling heatwave (we’re really selling it aren’t we?). You can also attempt a day trek up to the top of the nearby volcano, which is a challenging but rewarding experience. The shoreline is also only a ten minute walk away, and it is completely undeveloped. As in, there is nothing there except the beach, so take everything you need with you! 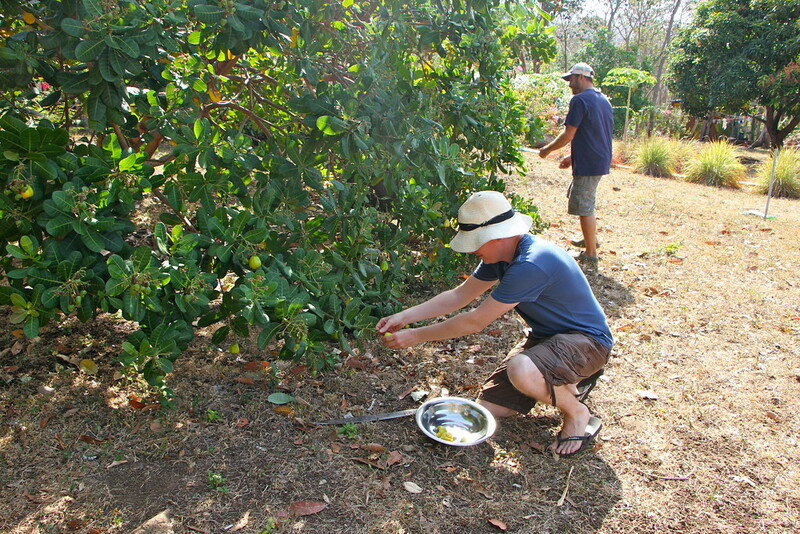 Or, if you’re nice to the owners Angela and Ryan, they might even let you ‘help’ out around the farm, as we did when we there, helping them harvest cashew nuts. We will appreciate cashew nuts even more so now, given how time consuming it is to grow and harvest them. Sadly, the machete is purely for show. 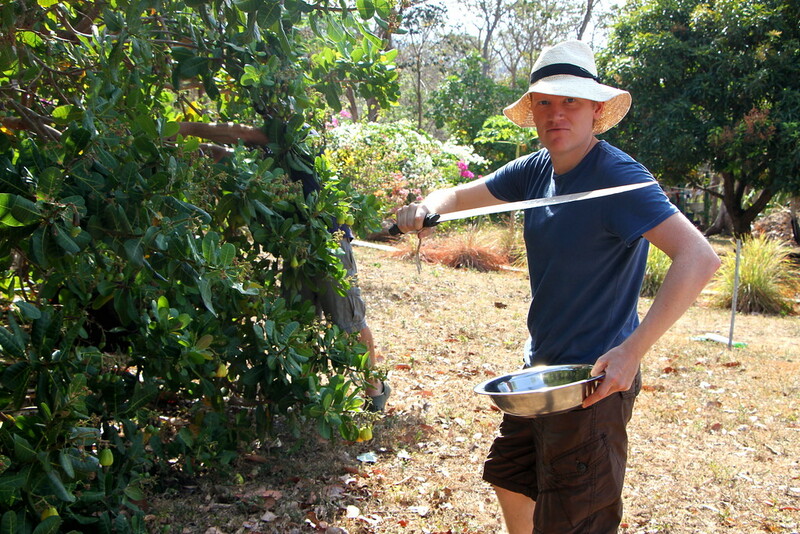 You don’t need a machete to harvest them, I just wanted to use it to look hard. Ometepe island is an incredible place to stay, and we’d highly recommend you get away from the main port and see the rest of the island. You can get bars and restaurants anywhere you go, so get in a jeep, or take the bumpy bus and explore this majestic island! Looking for more Nicaragua inspiration? Click here. Looks like an interesting experience and a little rougher than my trip to Ometepe -but I was there with my mom. We stayed at Totoco Lodge (our experience http://bbqboy.net/photo-essay-sunsets-and-volcanoes-in-isla-ometepe-nicaragua/) and they also had an organic farm on their grounds where volunteers (most foreign) worked. Great way of experiencing the place cheaply and doing something good for the community. Maybe we’ll be back and do the same as you guys. Hey Frank, thanks for stopping by and commenting, looks like you guys found a nice place there! 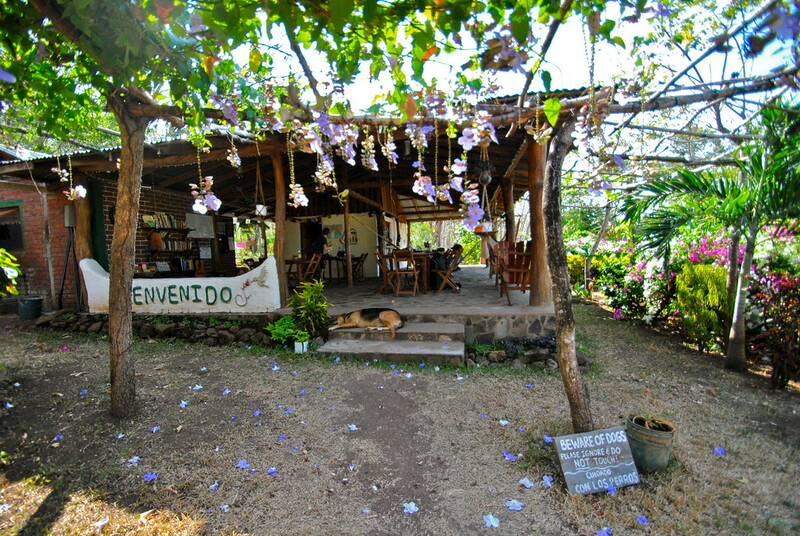 There seems to be a few farms on Ometepe to choose from! 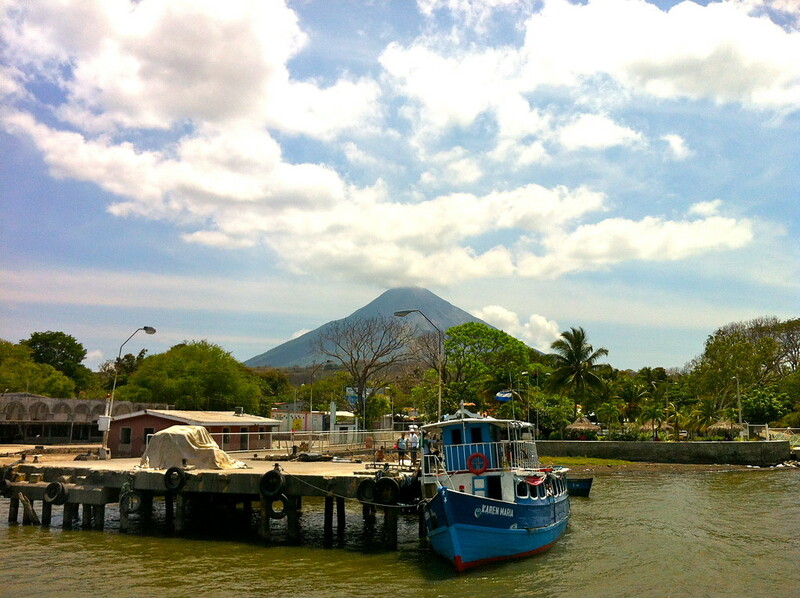 I have literally just written a post about Ometepe, I really loved it there! Funnily enough, I also stayed at Finca Mystica; it’s a great place to stay, I couldn’t recommend it enough. Angela and Ryan have really created a perfect place there, I enjoyed going back through your post. 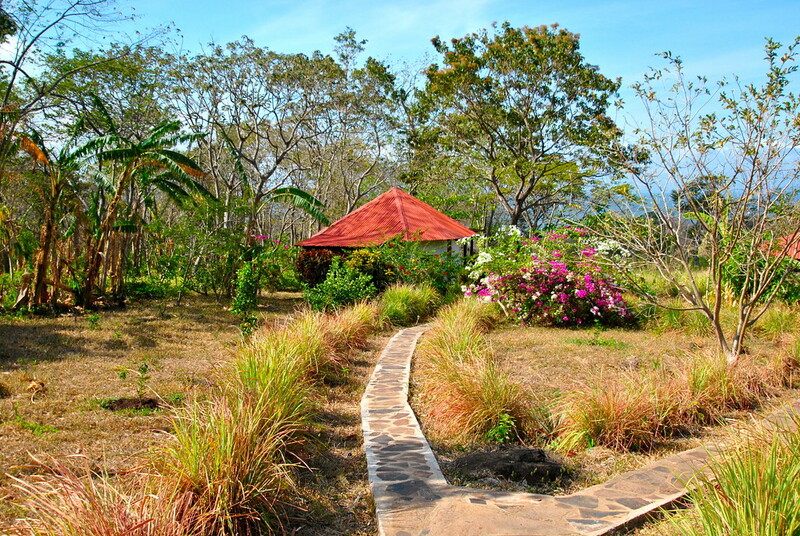 Totally agree Hannah, Finca Mystica really is a great place to stay on Ometepe! Glad to hear you had a great experience, we only wish we could have stayed longer! I am currently writing a post about my time in Ometepe and I have so much to say, I am having trouble picking a direction in which to write! Due to some serious sea sickness after the boat ride, we opted to spend the night in Moyogalpa…11 days later we had to force ourselves to leave that town! I loved staying in the port town and exploring the rest of the island by motor bike. 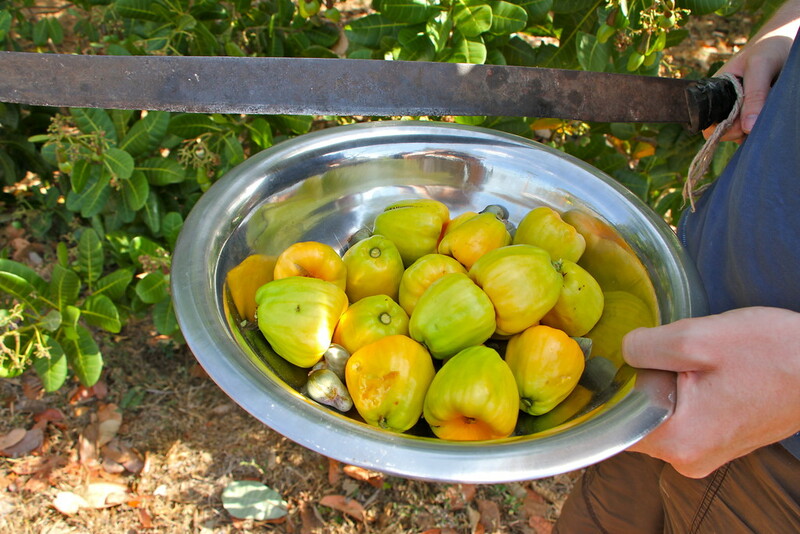 Never made it to Finca Mystica, but I definitely would have loved to harvest some cashews! Haha sounds great Katie, we didn’t spend any time in Moyogalpa but we would love to return sometime and experience it more! For such a small island there is so much to see and do! Will keep an eye out for your post when you finish it!